Meep meep. I’m super behind on posts. We’ve already hit the end of 6th week, and here I am going back to third week. Sarah and I planned an apple picking trip the weekend before third week, so we decided that tea had to feature the apples we picked! 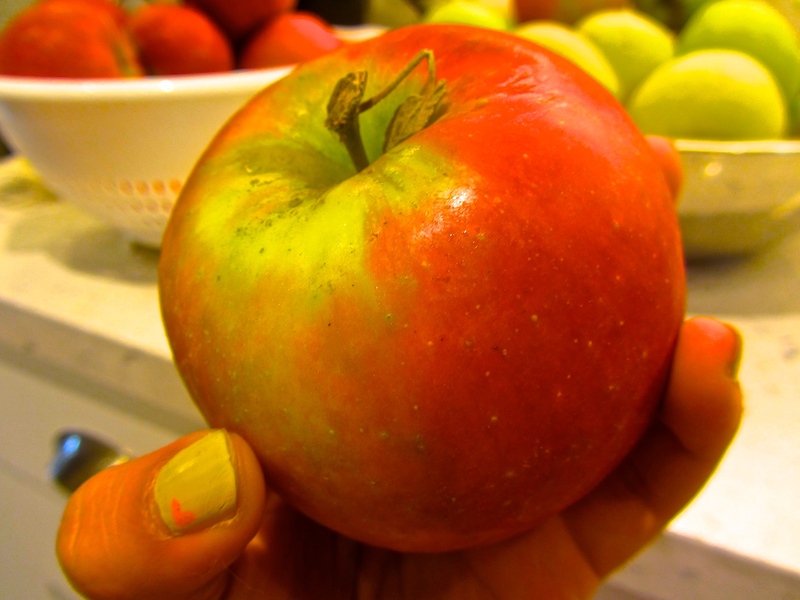 In retrospect lugging three dozen apples back from Indiana probably wasn’t the *best* idea we’ve ever come up with, but hey, the apples were delicious. There were left over lemons. 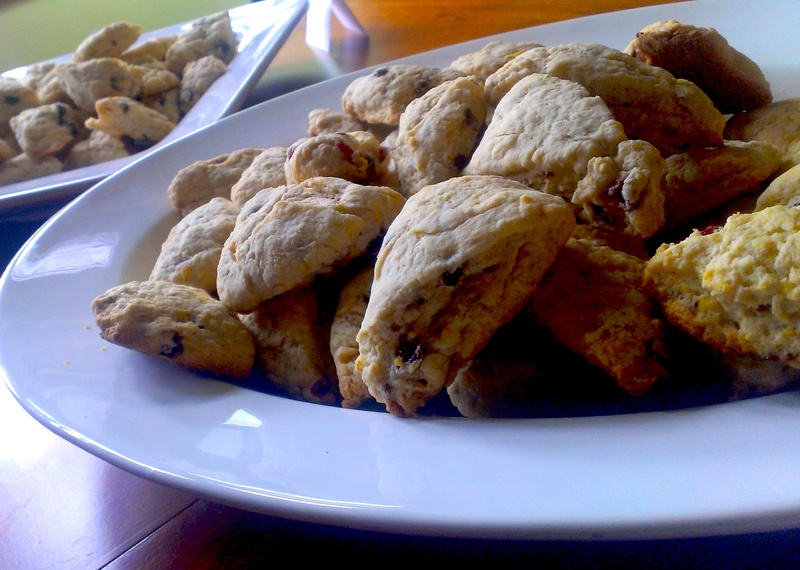 It was a scone week. Since scones are one of the easier recipes, we made four different kinds: lemon raspberry, orange cranberry, chocolate chip, and raspberry chocolate chip. I won’t bother boring you with my opinions on scones. They’re delicious, and we usually serve them with a side of whipped cream. We just made them two weeks ago, so it shouldn’t be anything new. Now that school has started up again, we’re back to doing teas every Friday afternoon. 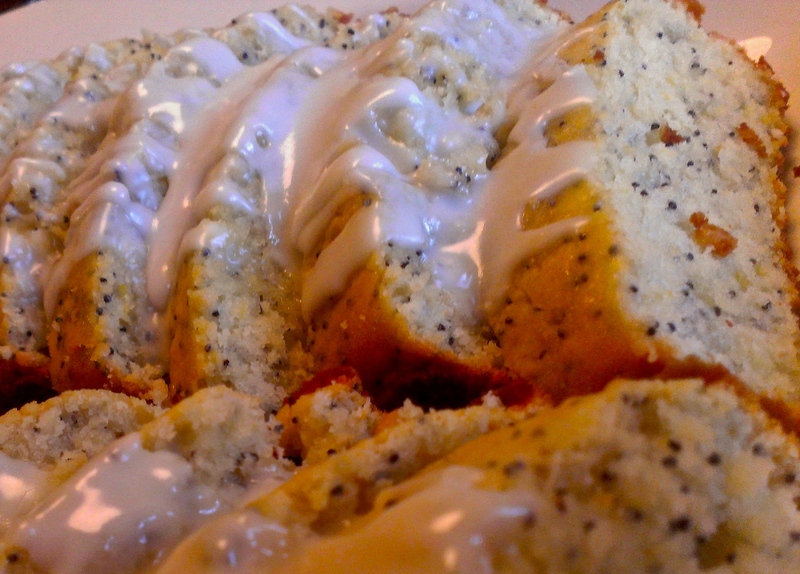 For the first week of tea, we served Double Glazed Lemon Poppyseed Tea Cake and Double Glazed Orange Poppyseed Tea Cake. [O-Week] Aims of Education Reception! Our next event wasn’t until Tuesday night, with the Aims of Education Reception. Every year, the first years attend the Aims of Education speech during O-Week. Since we’re the oldest dorm on campus, it’s tradition for the speaker to come back to our dorm and lead a discussion. 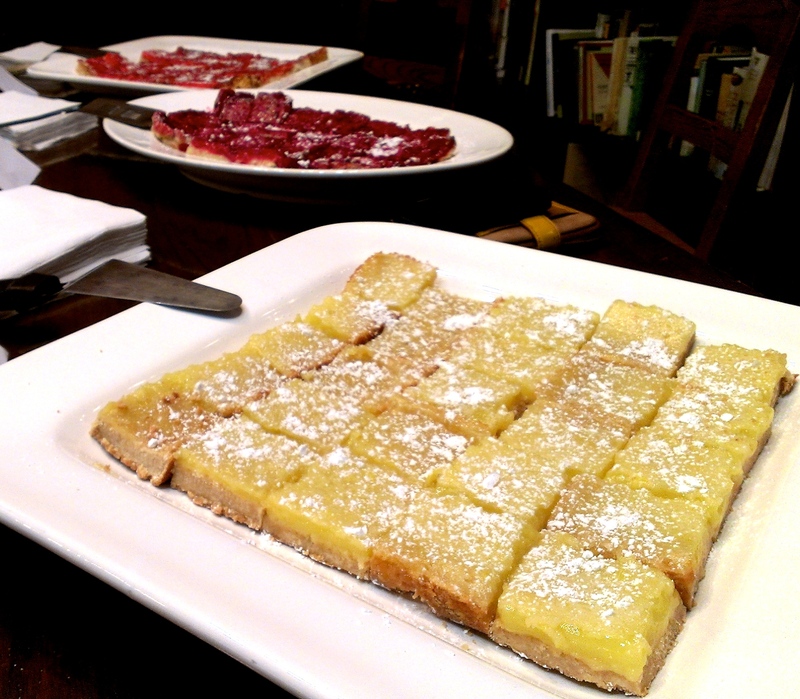 For this event the RMAs always serve the super popular lemon squares! That same night, we had a “Midnight” [read: 10pm] Tea and Cookies to welcome the first years. 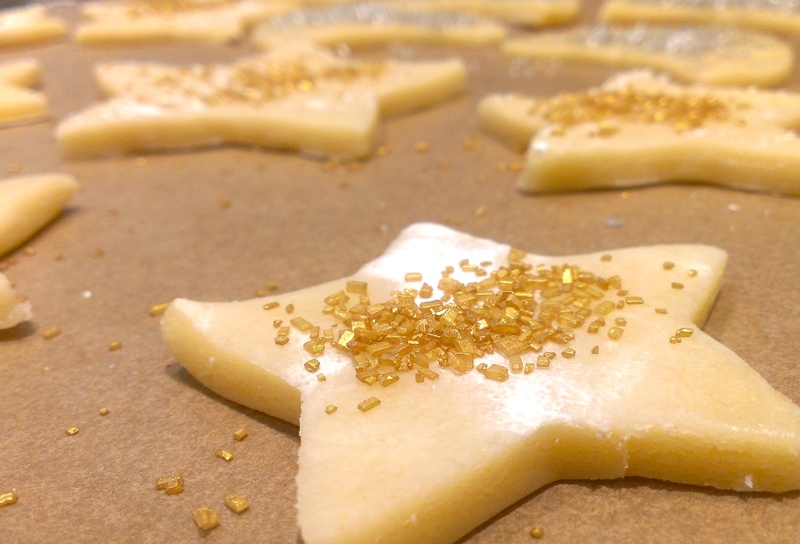 The midnight tea was simple, since it was sans the first years’ entourage, so we only made four batches of sugar cookies. To kickoff O-Week, we had a welcome reception for the first years and their family. 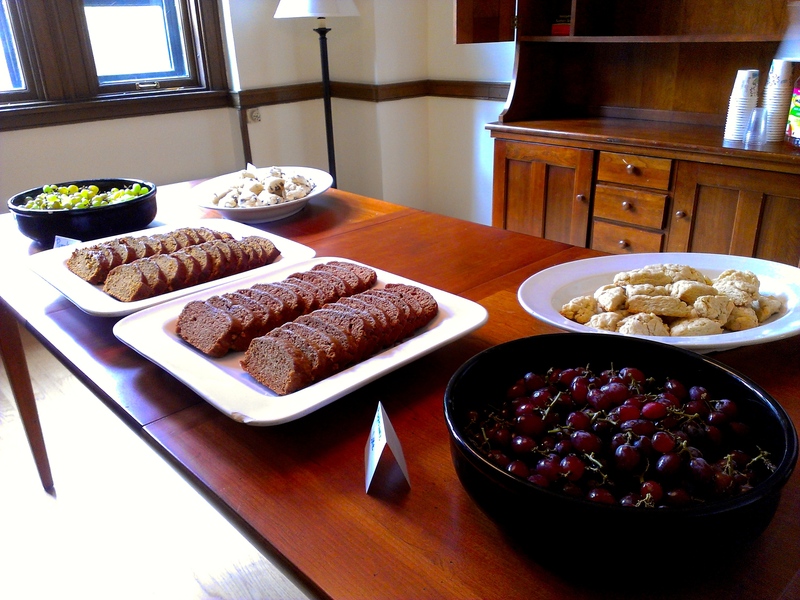 The next few posts will feature recipes I used during Orientation 2014. As resident master assistant we planned four major events for incoming first years. Before I go any further, I’d like to acknowledge my co-RMA, Sarah, and our wonderful RM O-Aids, Destiny and Theresa. Without them O-Week would’ve been a disaster. They made shopping trips, cleaning, and all of the cooking much more enjoyable. Unfortunately, I was pretty busy during the entire week, and didn’t take as many photos as I would’ve liked. I will however, be posting all of the recipes used during the week!